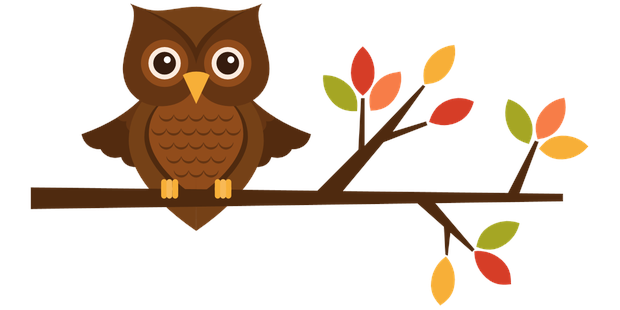 Three Hoots is using Smore newsletters to spread the word online. At the beginning of the month we read a humorous story about a character named Sarah Jane. Sarah Jane is worried about going to a new school. She refuses to get out of bed because she keeps imagining all the bad things that can happen. It is a great story to start off the school year because our third graders can understand and sympathize with Sarah's feelings and laugh when they discover the surprise ending to this delightful story. Next, we read a story about three children that wanted to buy their gramma Eula a beautiful Easter hat. But their good intentions are misunderstood, until they discover just the right way to pay for the hat that Eula's had her eye on. This is a novel by Patricia Polacco. Patricia Polacco is one of our featured authors in third grade and we will be sharing a variety of her stories with the boys and girls throughout the year. 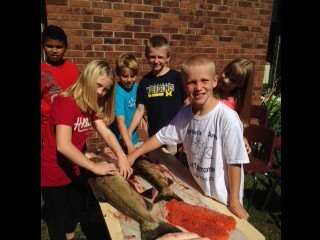 This school year the students will raise salmon and then release them into Lake Michigan. 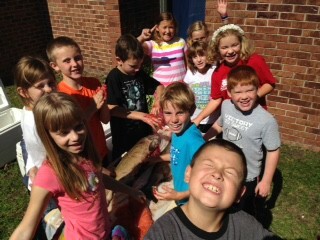 This is a program through the DNR called Salmon in the Classroom. 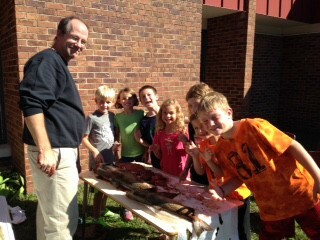 To kick off the program, Dave Clapp from the DNR did a salmon dissection with the classes. 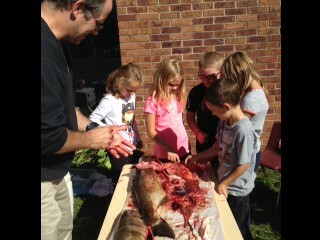 This was a great opportunity for the students to learn about the life cycle and anatomy of salmon. We are continuing to learn about forces. 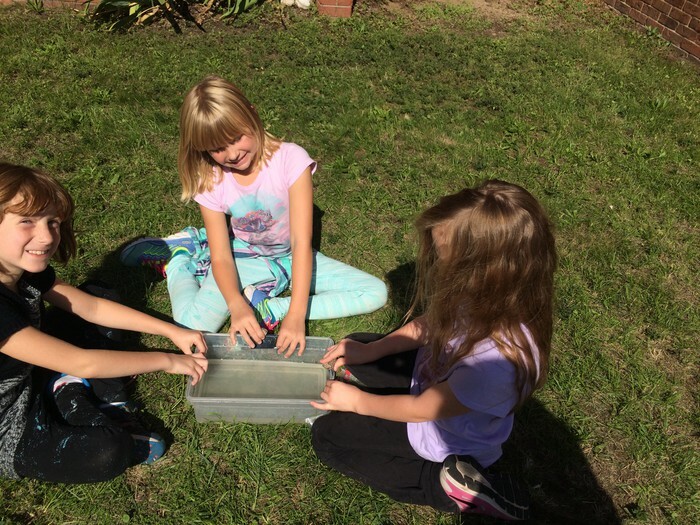 The students have been exploring how things move. This week we will out to the playground and find evidence force, friction, motion and gravity. Our focus for writing has been on complete, compound, and complex sentences. The third graders have been recognizing and writing their own complete, compound, and complex sentences! Next we will take time to focus on a strong paragraph. By third grade, many children understand how to create an idea or choose a topic for a story, use punctuation appropriately and spell most sight words correctly. Third grade students can use these skills to recognize parts of paragraphs and write their own simple paragraphs. There are many components to a paragraph, so we will be breaking it down to help with understanding. In Math, we have been working on learning the concepts of rounding numbers and estimating the sum so that we can do mental math easier. These can be tricky concepts, especially when they are asked to round larger numbers to the nearest tens place or the nearest hundreds place. Our classwork this week included a lot of practice with rounding in three different ways. Using the number line, using compatible numbers and using "friendly numbers" which are numbers ending in 0 so they are easier to add mentally. 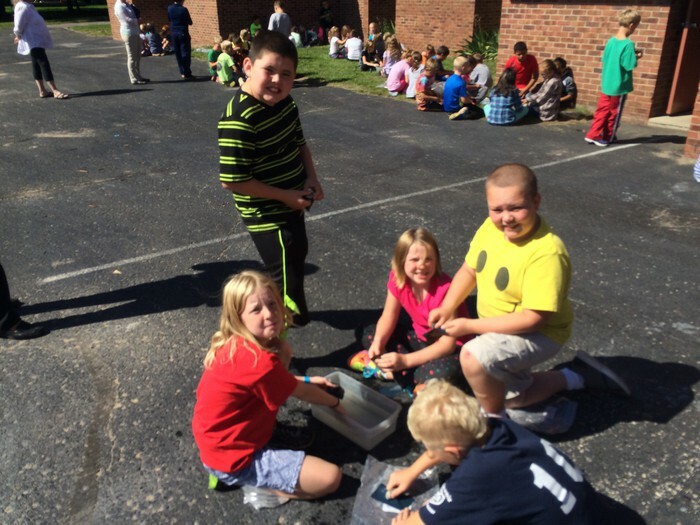 Help Shape the Future of Our Schools! When: We have scheduled two opportunities to learn about our facility study. 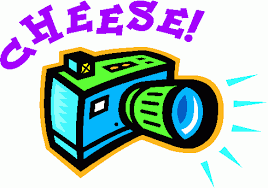 Charlevoix Elementary School at 6:30 pm in the library. 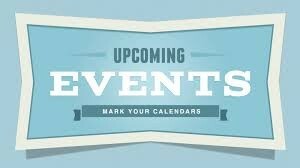 Round Lake Educational Center at 6:30 pm in the Rayder Room. Details: In February a Charlevoix Public Schools Facility Study Team was created. The objective was to research, study, and ultimately recommend a plan of action for both short-term and long-term facility planning to our CPS Board of Education. 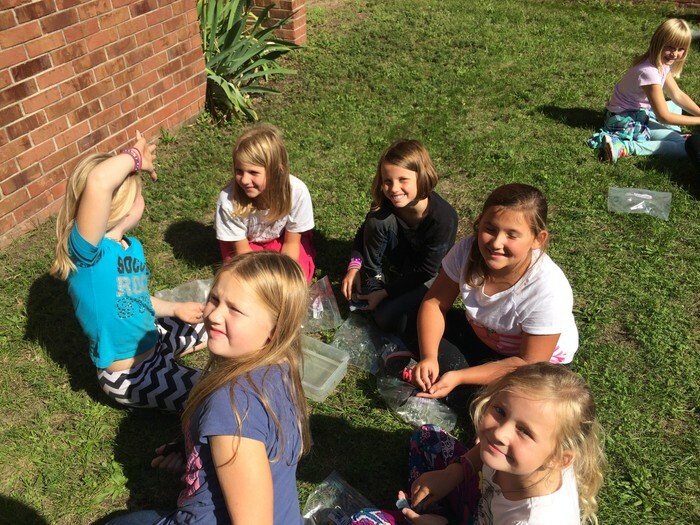 The Facility Study Team, the Charlevoix Board of Education, and Superintendent, Mike Ritter, felt it would be critical to share the findings with you and also seek your input. We will be offering these two community forum opportunities along with a community survey in November. It is our hope that with your help, we will determine the best plan for the future. Reading and spelling homework will be handed out every Monday and due back on the following Monday. Homework will consist of reading weekly and math fluency practice. In addition, your child will be assigned a book share. 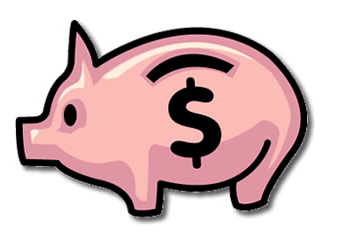 Book shares will be introduced near the end of September. Your child will need to bring their own snack each day. If your child forgets their snack we have graham crackers available for them in our classrooms. In addition, they may bring a water or juice bottle. We look forward to celebrating your child's birthday at school. Feel free to bring in a birthday treat on the day of or closest school day to your child's birthday. Please be aware that we have children in our classes with nut allergies. We ask that snacks be nut free so that all of our kids can enjoy it! 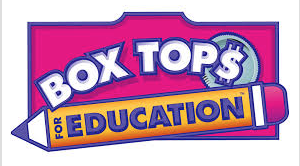 We collect Box Tops and Oleson's Slips all year long to help with purchasing classroom supplies! Don't forget tennis shoes for gym day! 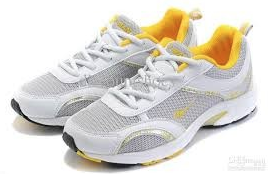 Your child may bring in shoes that can be kept in their cubby all year to be worn for PE class.